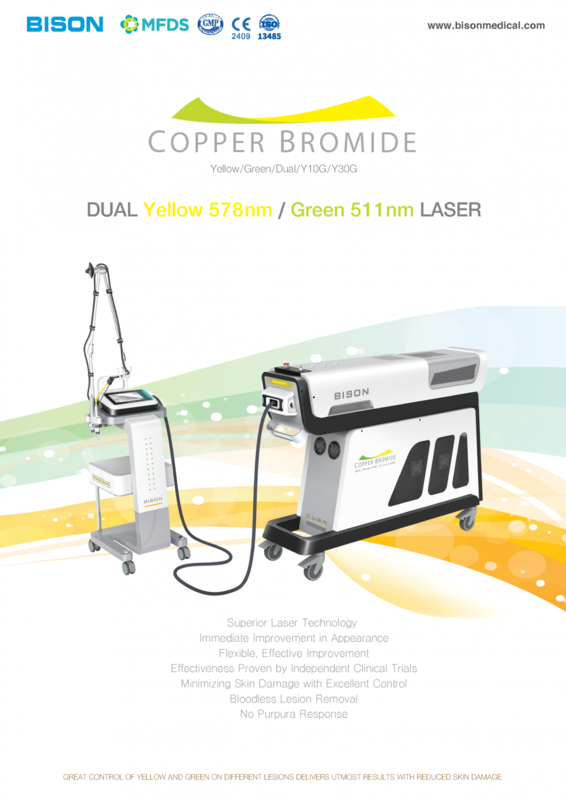 Copper Bromide (CuBr) laser is a high-tech laser resolving various skin problems quickly and effectively. As a medical device of CVL, CBL method of dual wavelength which is said to be the highest class technology all over the world among the lasers currently released in the market, can display maximum effect due to its differentiated laser technology. 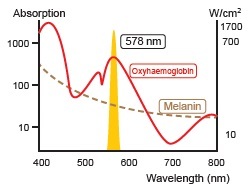 separate the two wavelengths in selective manner, the painless, visible, immediate and satisfactory best result can be brought to each lesion for which the user wants to see the effects. etc can be selectively used to suit each lesion. So, the greatest effect suitable to each lesion can be achieved. Differently from the existing copper laser which requires about an hour for heating and cool-down, surgical operation with the Copper Bromide can be started immediately within 5~10 minutes after power switch ‘On’ and also 5~10 minutes will be enough to cool-down after power switch ‘Off’. Due to the genuine photo-diode sensor, users are enabled to benefit from consistent laser output without the need to bother with the sophisticated process behind it. It guarantees more stable procedures with more dramatic results. The advantage is that the hand piece can be exchanged to treat different lesions using the Gaussian mode and the Top Hat mode. This helps with the access to thin vascular lesions such as telangiectasia in laser toning. 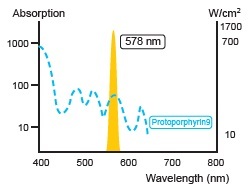 578nm Yellow wavelength matches with the peak absorption in hemoglobin and treats only the targeted vascular lesion without bruise or damage of surrounded normal tissue. Both Mode (combination of Yellow and Green wavelength) treats the targeted bulky lesions, using more powerful fluence with shorter downtime and less risk of any side effect. Especially, it is very safe and effective when treating bulky lesions with Melasma. 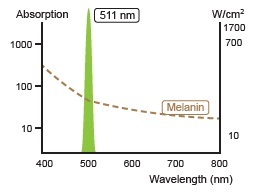 511nm Green wavelength is absorbed by melanin effectively and treats only the targeted pigmented lesions without any subsidiary damage of normal tissue. 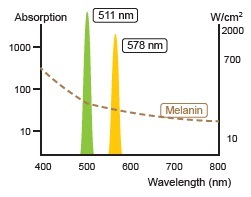 578nm Yellow wavelength is effective in treating active acne and improves acne Erythema at the same time. Yellow wavelength reduces the possibilities of a recurrence by destroying acne bacteria and shrinking the sebaceous gland itself.